My immediate reaction to this is that economic growth at any level—let alone of an order of magnitude beyond what we are accustomed to—is fundamentally incompatible with wages that are falling dramatically for the vast majority of workers. We might, perhaps, have vigorous economic growth if the falling wages applied to only a minority of human workers, but it is very difficult for me to conceive of a way in which such growth would be compatible with wages falling across the board—or even for the bulk of workers. The reason is simple: workers are also consumers (and support other consumers). If wages fall dramatically, then consumption must likewise fall because the majority of personal consumption is supported by wage income. Additionally, I would make the point that as artificial intelligence overwhelmed the labor market, the psychological impact on consumers would almost certainly amplify the fall in consumption. As the number of viable consumers in the market rapidly diminished, the mass market business models of most industries would be numerically undermined: there simply would not be enough willing and able buyers to support the high volume production of goods and services that characterizes most of the major industries that make up today’s economy. The result would not be extreme economic growth, but instead falling revenues and, quite probably, widespread business failures. It seems to me that the current economic situation offers a fair amount of support for my position. In his paper, it appears to me that Dr. Hanson makes two separate assumptions to get around this basic problem of a reasonable balance between production and consumption. In his initial overview of his growth models, Dr. Hanson writes: “We assume that the product of the economy can be either consumed or used to produce more of any kind of capital (i.e., human, hardware, software, other).” I read this to mean that Hanson is assuming that private sector investment might “pick up the slack” left by diminished consumption. This strikes me an unsupportable assumption for the simple reason that business investment is not independent of consumption—or, at least, current investment is clearly a function of anticipated future consumer spending. Businesses invest in order to better position themselves to reap the fruits of future consumption. As a business owner myself, I can really think of no other good reason for a business to make substantial investments in “human, hardware, software, or other” capital. In a world in which most workers’ jobs are being automated away and will never return, there would be very little reason to anticipate that future consumer spending would be anything but anemic. Therefore, there would be no reason for the private sector to invest. To me, it seems intuitively obvious that overall private sector investment would not increase, but instead would fall in line with plummeting consumption. In other words, everyone (or at least most people) will have a piece of the action, and the returns on that ownership will be so fantastic that almost everyone will have a reasonable discretionary income—with which they can then go out and consume. I’m going to leave aside the obvious problems with the distribution of wealth and income, as well as with any hope of social mobility, that this scenario implies, and instead focus on a more basic question: would asset values really increase at the extraordinary rate that Hanson suggests? Would they increase at all? Dr. Hanson seems to be assuming that the stock market (and other productive assets) would increase dramatically in value because investors would recognize that businesses now have a fantastic new technology (intelligent machines) which will enable extraordinarily efficient production. The problem I see with this is that, according to modern financial theory, asset values are not determined by investors’ perceptions about technology. Asset values are defined by investors’ expectations for the future cash flows that will be associated with the asset in question. It seems clear to me that, in the midst of across the board job automation and plunging consumer demand, those future cash flows would be looking pretty minimal. In order for asset values to increase, investors would have to reason that, because asset values would increase dramatically, nearly everyone would have access to an investment income which could then be used to consume—and thereby create the future cash flows which would justify the current value of the asset. That strikes me as both circular and unlikely. Dr. Hanson seems to be assuming a perpetual asset bubble that somehow gets going even though it is not even remotely initially supported by fundamentals. In fact, the initial fundamentals would point—quite dramatically—in exactly the opposite direction. Where would these courageous initial investors come from? During the height of the financial crisis last year, I happened to see a report on CNBC which noted that extremely wealthy people were buying gold and having it shipped directly to their estates. They wanted their gold in their homes, behind their gates and walls, buried in their underground vaults. Are those perhaps the investors that Dr. Hanson is expecting to step up to the plate and begin driving up asset values when intelligent machines arrive and destroy consumer demand? It seems to me that Professor Hanson’s views are really quite unsupportable. Nonetheless, it is of course possible that I have made an error somewhere or I have misunderstood Dr. Hanson’s arguments. I look forward to Professor Hanson’s response to my thoughts. Update: Dr. Hanson has responded on his blog. My response to his response is here. Thank you for sharing wonderful blog.If you are looking to get trained from a good training centre, IITP india is here. 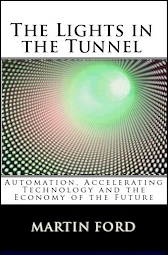 Its Brilliant knowledge For Technology and Society Book.Technology and Economics Book is so good. that's fabulous book of the Software Society.Software and Economics is so good. This article is so good for Software knowledge.Technology and Economics Book is so good.